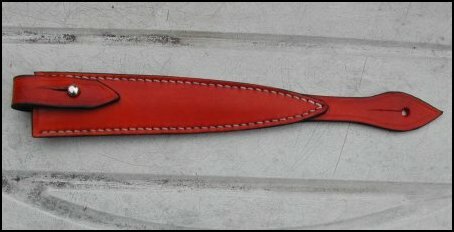 Below are a couple of sheaths for the Fairbairn Sykes fighting knives. These syle sheaths were believed to have been used by the OSS and SOE. Button sheath has hole/slit for a Sam Browne stud but was normally carried tucked in the waistband. 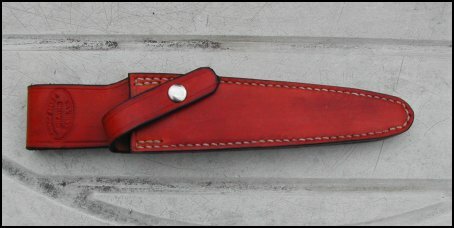 The second sheath, with belt slots, has the tip reinforced with extra leather, probably to keep the tip of knife from coming through while parachute jumping.